As you likely already know, there are so many different bang styles out there, so which one do you choose? The answer should depend on your face shape, as this will have a huge influence over how well each bang style complements your look. Before you can choose the right bangs for your face shape, you need to know what your face shape actually is. Worked out which one you are? Great, you can now move on to finding the best bangs for your face shape. Round-shaped faces have a beautiful softness to them, but tend to be lacking when it comes to angles. Side-swept bangs are ideal for round faces, because not only do they add angles to your face, but they also help to give your face more of an elongated appearance. Make sure that your bangs are cut at a strong angle in order to really emphasize this. Bangs that are arched in quite a graphic, angular way can also work really well. However, make sure that the bangs are full rather than wispy. They should also follow the shape of your eyebrows in order to highlight your features. Wondering if there are any bang styles that those with round-shaped faces should avoid? Yes, straight bangs are something to stay away from. Because they will only make your face appear wider and fuller, rather than narrowing it down in the way that side-swept bangs would. Those who have a long face shape usually also have quite a long forehead, and bangs are the perfect way to cover this up and give your face some more balance. Of course, the best way to cover up a forehead is with thick and blunt bangs, and these should start at the crown of he head. For an even better effect, have these slightly shorter in the middle, softly falling to a longer length at the sides. Where should the bangs end? Ideally, just below your eyebrows, as this will also help to give your face some extra width. Is your hair quite fine? If so, thick and full bangs will likely be quite difficult for you to achieve. Instead, opt for choppy bangs, as these will still give you a similar effect. Long bangs will still work well for you, but ask for them to be cut further back on your head, rather than at the crown. Which bang styles should those with long faces avoid? Definitely stay away from baby bangs, as these will only make your face appear even longer. Heart-shaped faces can sometimes seem a little heavier at the top, but this is something that bangs can help balance out. Not only will they cover up the extra space here, but they will also draw attention downwards to the eyes. Feathery, layered bangs do this especially well, with the shortest part of the bangs hitting the arch of your eyebrows. The longest parts of your bangs should fall just along the outer corners of your eyes. Long, sweeping bangs also work well for heart-shaped faces. How long should the bangs be? Make sure that the outer edges of your bangs flick outwards, but still flow with the movement of the rest of your hair. This will help to balance out your face shape even more. Any bang styles you should stay away from? Yes, and these are thick, full and blunt bangs. Because they will only make your forehead appear wider, whereas your bangs should ideally make it look narrower. Square-shaped faces are quite angular, meaning that you need bangs that are able to soften this up. Which bang style is able to do this? The answer is long and side-swept bangs. These should be quite long and tapered on the sides, but should graze the eyebrows, or fall just below them. The thickness of the bangs is completely up to you. Both full bangs as well as wispy bangs can work well on square-shaped faces. The key is making sure that your bangs are the correct length, as this is what will add softness to your face. Stay away from short bangs. These will only have the effect of pulling your face downwards. With the narrowest hairline out of all the face shapes, diamond-shaped faces work extremely well with side-swept bangs, as these help to widen out the area. Keep these bangs quite long, but tapered on the sides to ensure that they don’t overwhelm your face. Even though your bangs are side-swept, this doesn’t mean that you still can’t go with a middle part. Simply sweep your bangs to either side of your face, rather than just to one side. So, which bang styles should diamond-shaped faces stay away from? Bangs that are too heavy will only exaggerate your wide cheekbones and pointy chin, rather than balancing these features out. If you have an inverted triangle-shaped face, then you can use your bangs to cover up a wide forehead and give your face some balance. Ideally, your bangs should provide the illusion of extra width at the bottom of your face too. Curtain bangs work really well on inverted triangle-shaped faces, whether you part them directly down the center of your face, or slightly off-center. Try to have them cut so that they fall around your cheekbones. This is where your face shape starts to narrow, and having the bangs hitting this part of your face will give it some width and balance your face shape out. These would be rounded bangs. Due to their shape, they end up hiding a key part of your face, which will then make your face appear unusually small. They will also draw attention to a pointy chin, rather than balancing this out. As mentioned earlier, oval-shaped faces are considered to be the ideal. So, it should come as no surprise that just about every bang style will complement your face shape. With that being said, while there aren’t any bang styles you should avoid, wispy, straight bangs work really well on oval-shaped faces. Again, feel free to experiment with this, although bangs that fall somewhere between the eyebrows and the eyelashes will be especially flattering. Have fun with styling your bangs too, as both sweeping them to one side as well as wearing them with a middle part will work well with your face shape. As cute and as stylish as bangs may be, there is no denying that they do require quite a bit of maintenance. Due to the fact that they are falling against your forehead and also have to endure extra brushing, bangs can often end up quite greasy. 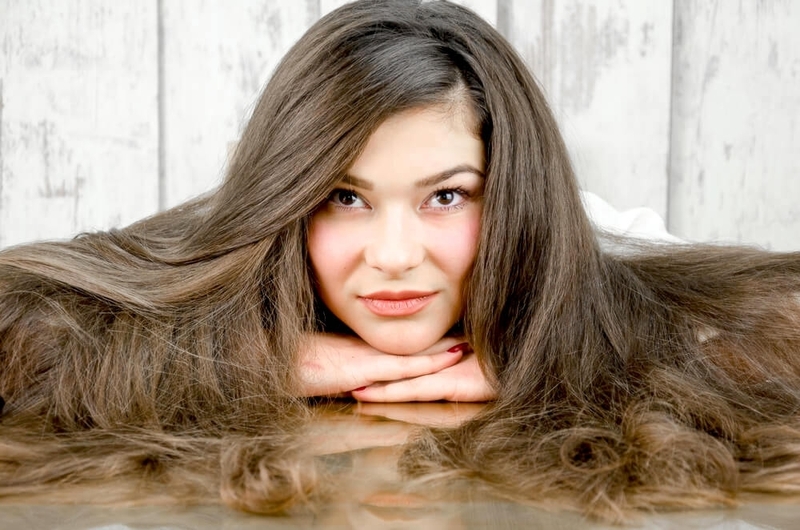 Well, as you likely already know, over-washing your hair can lead to quite a few problems. However, if your bangs are feeling oily, you could always give just your bangs a wash, keeping the rest of your hair dry. Alternatively, opt for some dry shampoo instead, running these through your bangs. This will soak up any excess oil, leaving your bangs looking smooth and fresh. Make sure you tie them back when you are moisturizing your face. This prevents them from coming into contact with your moisturizer and soaking up that extra product. Keep your bangs tied back for about ten minutes after applying a face cream, or longer if the creams are taking their time to soak into your skin. After you have had your freshly cut bangs for a couple of weeks, you will notice that they soon begin to look a little straggly. The main downside to bangs is the fact that they need regular trims, and this is something that you really cannot avoid if you want your bangs to look neat and sharp. How often should you trim your bangs? Ideally, every two or three weeks. This may seem like a lot, but it doesn’t take much for your bangs to start looking messy and unkempt. 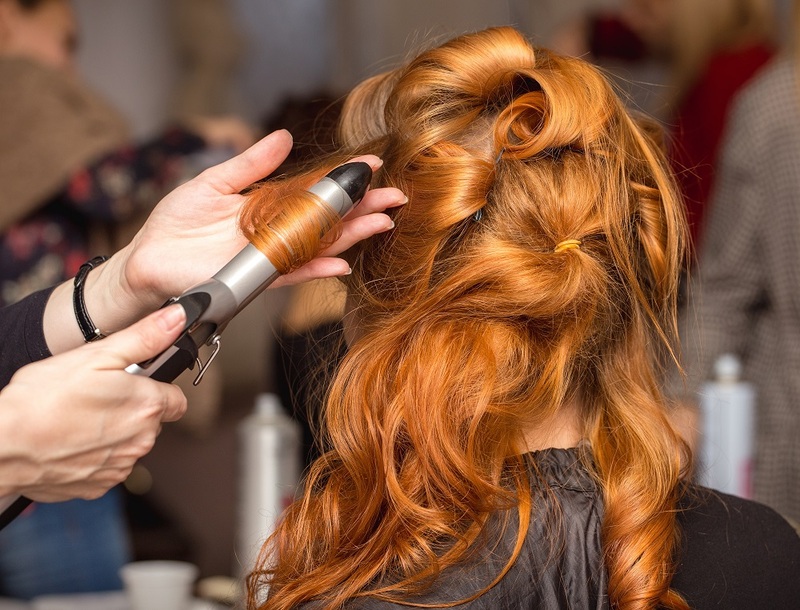 If you have shaggy bangs, you may be able to wait a little longer in between trims, but those with blunt bangs will definitely need to be quite regimented about getting regular trims. Now, with such regular maintenance required, many people are tempted to trim their bangs themselves. Is this something you should attempt? Definitely not, especially at the beginning. While it may seem like an easy way to save some time and money, there are so many disaster stories out there when it comes to self-trimming bangs. Instead, have them trimmed professionally but ask for advice on how to trim them yourself. Spend some time researching this thoroughly and practising your technique on other materials before trimming your bangs yourself. Bangs are such a fun style to rock, and with so many different types of bangs out there, you will definitely be able to find a style that beautifully complements your face shape. Whether you go for short and blunt or long and wispy, bangs are definitely a style worth considering.